Scientists from the Sloan-Kettering Institute for Cancer Research in New York with the help of University of Plymouth's Faculty of Medicine and Dentistry have completed research which for the first time brings us nearer to understanding how some cells in the brain and nervous system become cancerous. The results of their study are published in the prestigious journal Cancer Cell. The research team led by Sloan-Kettering researchers studied a tumour suppressor called Merlin. The results of the study have identified a new mechanism whereby Merlin suppresses tumours, and that the mechanism operates within the nucleus. The research team has discovered that unsuppressed tumour cells increase via a core signalling system, the hippo pathway, and they have identified the route and method by which this signalling occurs. By identifying the signalling system and understanding how, when present, Merlin suppresses it, the way is open for research into drug therapies which may suppress the signalling in a similar way to Merlin. 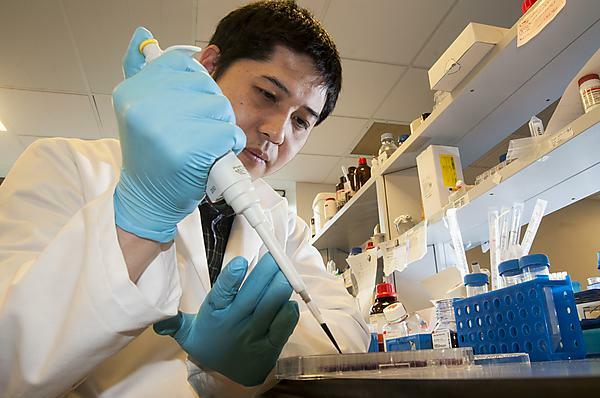 Tumour suppressors exist in cells to prevent abnormal cell division in our bodies. The loss of Merlin leads to tumours in many cell types within our nervous systems. There are two copies of a tumour suppressor, one on each chromosome that we inherit from our parents. The loss of Merlin can be caused by random loss of both copies in a single cell, causing sporadic tumours, or by inheriting one abnormal copy and losing the second copy throughout our lifetime as is seen in the inherited condition of neurofibromatosis type 2 (NF2). No effective therapy for these tumours exists, other than repeated invasive surgery aiming at a single tumour at a time and which is unlikely to eradicate the full extent of the tumours, or radiotherapy.